Xiaomi on Thursday announced the launch of its new Mi Air Purifier 2S, Mi Home Security Camera 360, and Mi Luggage at its Smarter Living event held in Bengaluru, India. Launched as part of the company's expansion of its ecosystem products in the country, the Mi Air Purifier 2S looks a lot like the older Mi Air Purifier 2 but comes with additional features including a digital OLED display, more accurate air purification technology, and smarter home integration. Xiaomi claims that 14 out of the top 20 most polluted cities are in India. The connected luggage and security camera are, of course, new product lines in the Xiaomi range in India. As a departure from the previous-gen model's design, the Mi Air Purifier 2S now sports an "Ultra-Clear" OLED digital display with indicators such as real-time air quality, surrounding temperature, humidity levels, and mode toggle. The OLED panel also comes with auto brightness adjustment. In terms of air purification, the Mi Air Purifier 2S comes with a high precision laser sensor that detects particles as small as 0.3-micron pixels. It also has a 360-degree triple layer filter to remove PM2.5 matters, allergens, and bacteria. Xiaomi's Mi Air Purifier 2S has a Clean Air Delivery Rate (CADR) of 310m3/h with a recommended effective area of 226-398 square feet. As for smart home integration, the Mi Air Purifer 2S now offers both Google Assistant and Amazon Alexa integration, offering users with the ability to control their air purifier using voice commands. The Mi Home app offers access to statistics and remote control for the Mi Air Purifier 2S. Xiaomi claims that the air purifier consumes just 4.8W when in night mode and has a volume level of 30Db in the same mode. Mi Air Purifier 2S price in India is set at Rs. 8,999, lower than the Rs. 9,999 price tag of the previously available Mi Air Purifier 2. First sale of the air purifier will be held at 12pm on Friday, September 28 across Mi.com, Amazon.in, and Flipkart. It will also be made available soon at Mi Home stores and other offline partners. 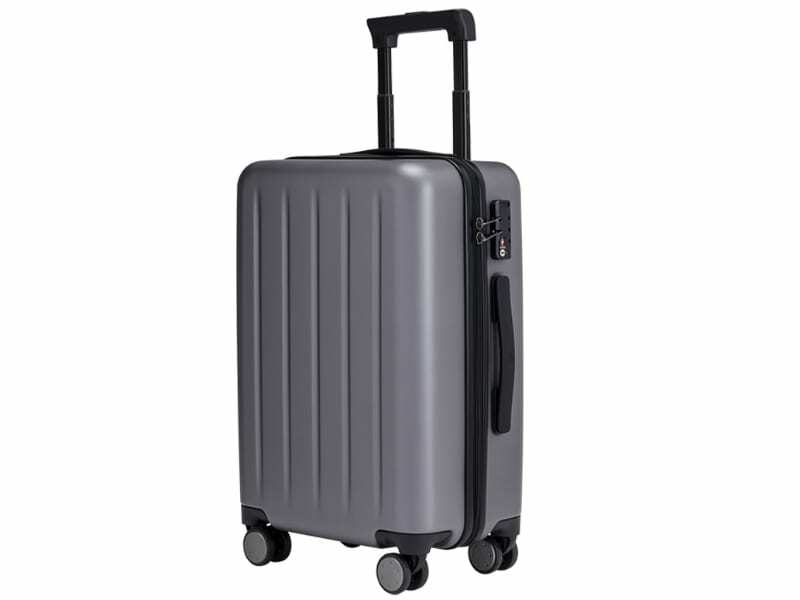 Alongside, Xiaomi has also launched Mi Luggage trolley travel bags at Rs. 2,999 and Rs. 4,299 for 20-inch and 24-inch sizes respectively. The honeycomb designed bags are made out of Bayer Makrolon polycarbonate making them scratch-resistant, and a TSA approved lock for improved security. The wheels at the bottom of the bag support 360-degree rotation, have dual-spinning capability, and are shock absorbent and wear-resistant. The handle to drag the Mi luggage is adjustable at four stops as well. The 20-inch Mi Luggage comes in Blue, Grey and Red colour options, and the 24-inch Mi Luggage comes in Blue and Grey colour options. The two Mi Luggage variants will be available from October 10 on Mi.com, Flipkart, Amazon India, Mi Home, and offline partners. Lastly, Xiaomi launched the Mi Home Security Camera 360 with 360-degree viewing angles and uses AI to detect motion in the room. It allows users to record video in full-HD resolution, supports 2x zoom, and features infrared night vision to capture the feed in the pitch darkness. The Mi Home Security Camera 360 has a microSD card slot for up to 64GB and has two-way radio talkback function to let users communicate with each other. Users can control the camera using the Mi Home app. The Mi Home Security Camera 360 price in India at Rs. 2,699 and goes on sale on October 10 at midnight, and will be available via Mi.com, Amazon, and Flipkart. It will soon be available via Mi Homes and offline retailers soon.